The time is almost here. 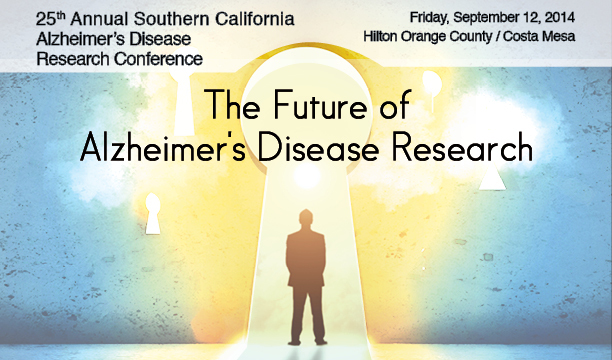 The 25th annual Southern California Alzheimer’s Disease Research Conference is on 9/12/2014. All information about it is here. You can still register for the program! Of particular note is Howard Federoff who is joining us from Georgetown to discuss the use of new blood lipid biomarkers for early/preclinical diagnosis and Ken Kosik who will discuss the Colombian cohort of familial inherited autosomal dominant AD and what we can learn from them. 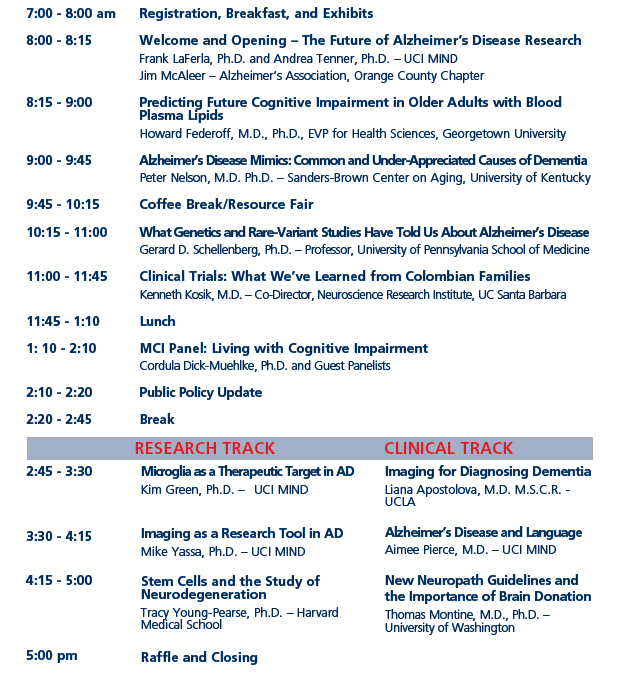 For my talk in the afternoon, I will be discussing the use of neuroimaging biomarkers as a research tool in Alzheimer’s disease, in particular as tools for early detection, tracking, and clinical trial enrichment. If you’re interested in hearing us talk about this work and discuss the conference in more detail, KUCI did an hour-long interview with us (Andrea Tenner, Howard Federoff, and I) on the air on August 26th. Here is a link to the podcast. Hosted by the UCI Institute for Memory Impairments and Neurological Disorders (UCI MIND) and the Alzheimer’s Association, Orange County Chapter, this conference convenes nationally and internationally recognized experts to address the progress our nation is making in the fight against Alzheimer’s disease. The 25th Annual Research Conference’s theme is “The Future of Alzheimer’s Research”, and will focus on exciting new developments that will take us into the next generation of Alzheimer’s research.